How far away will people be able to read my banner text? When you are designing your banner, it is important to keep in mind the viewing distance that people will be seeing your banner. 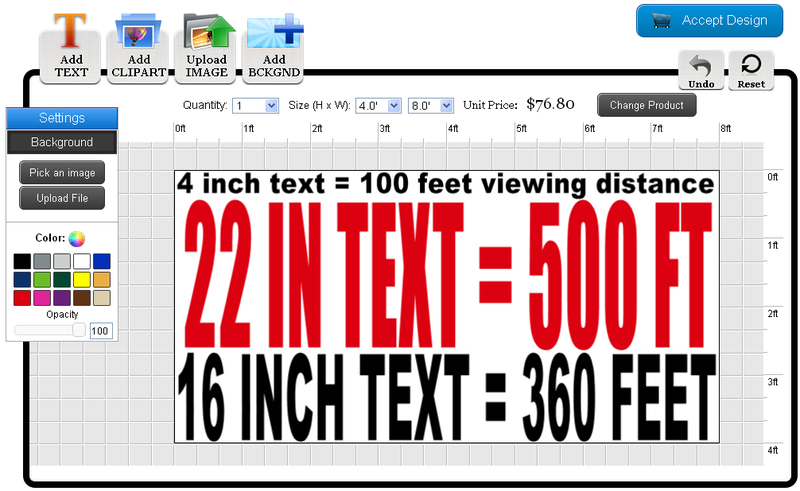 We put together some of the most common viewing distances and text sizes. 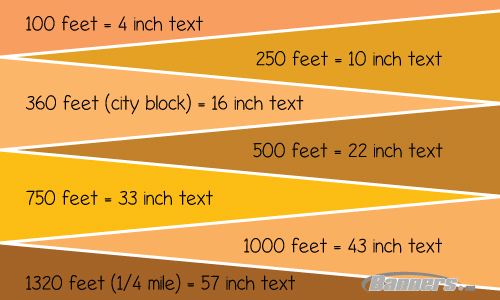 Keep in mind these measurements are for bold type styles. The finer the font type, the more difficult it will be to read. Our online designer does have some ruler marks that you can use as guidelines.